Item # 312910 Stash Points: 14,495 (?) This is the number of points you get in The Zumiez Stash for purchasing this item. Stash points are redeemable for exclusive rewards only available to Zumiez Stash members. To redeem your points check out the rewards catalog on thestash.zumiez.com. 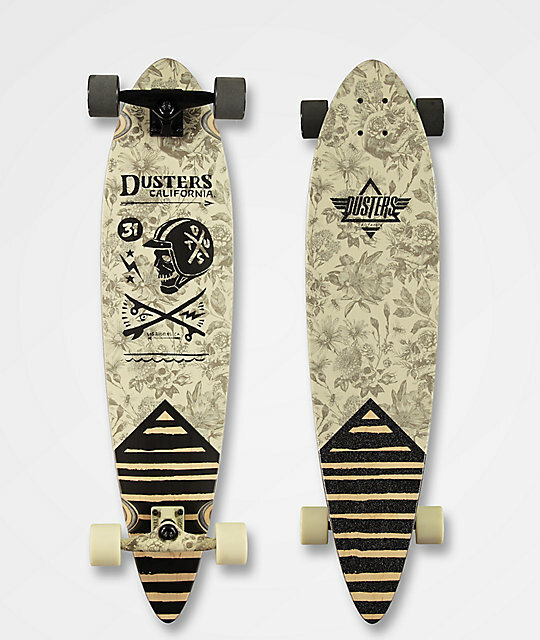 Cruise the streets on a classic shaped cruiser with the Dusters Moto Grave 37" Longboard Complete. 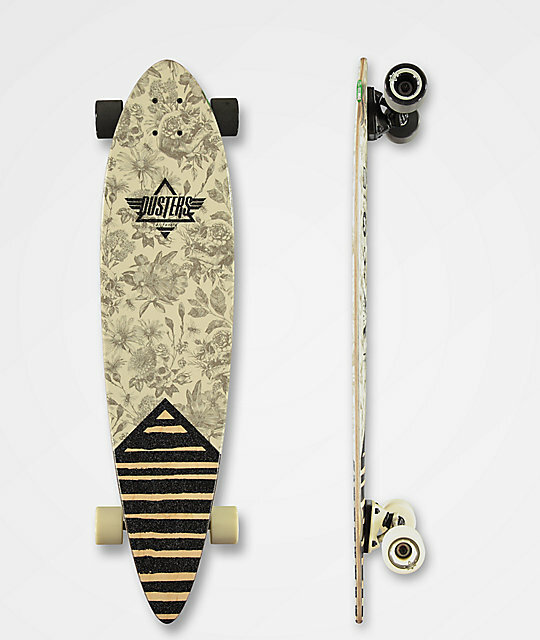 This deck offers flat concave for a stable feel under foot and the pintail shape at 37" provides a long wheel base for additional stability at higher speeds. Bullet brand trucks ensure deep and controllable turns and 63mm Dusters wheels maintain traction while offering excellent acceleration. Moto Grave 37" Longboard Complete from Dusters. Skull, floral and striped pattern graphic. 8.0" Tensor trucks with tapered 1/2" to 1/4" rubber riser pads.